The purpose of the LeValley United Methodist Church is to help transform the world by reaching out to people in Jesus name and developing them into mature followers of Jesus Christ. Hello! We hope you will find our website a blessing. Our church offers a feeling of warm fellowship and love, and we want you to feel comfortable and at liberty to call on us at anytime for any reason. Our website provides continuing information regarding our church and its ministries. We hope you will stay and browse our pages for a little while and learn about our fellowship. If you are considering relocating to our area, we welcome you to come and be our guest for a Sunday morning worship service. Perhaps then; you will wish to continue to worship with us. We would love to have you amongst our presence and so would Jesus! 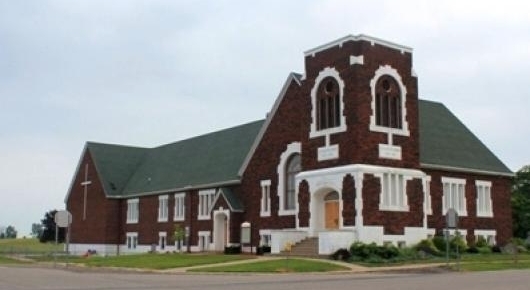 The LeValley United Methodist Church (LVUMC) is located in the southerly outskirts of town, at the intersecting cross-roads of Kelsey Highway and David Highway in Ionia, Michigan 48846. Together, we are LeValley United Methodist Church! Pastor Nancy Patera and LeValley congregation welcome you! Do you enjoy coffee, or tea, hot chocolate or a fruit smoothie? How about friend-ly conversation; does that boost your spirit? If so, I invite you to join me for a beverage and a time of fellowship at Sozo Coffee Roasting on Wednesday mornings. I will arrive at Sozo’s at 8:00am and will stay until 9:30am, or as long as someone wants to chat. Our conversation can just be about life in general, it can involve our relationship with Jesus and/or the Bible, we can discuss joys, cares, whatever you like. I don’t need to know in advance if you will be joining me. I will be there reading or preparing my sermon, but I do hope someone will show up once in a while. Sozo’s is located on North M66 (576 North State Road). Early in November, the LeValley Missions Committee and other interested church members met with Delbert and Sandy Groves, our missionaries from Zambia and The New Life Center. At that meeting, the Groves explained that over 100 United Methodist churches had been built in Northern Zambia and that the New Life Center is now being called to build Churches in the Southern part of the country. These are existing congregations meeting in homes, school buildings, thatch roofing or even under a tree. The Groves are inviting other Churches or groups from outside Zambia to partner with one of the congregations. As part of the partnership, the Zambian congregation is responsible for working with the UMC Zambia Conference for attaining the land and all title, survey and legal fees, as well as burnt-brick, sand and stone. The partnering church helps with the structural steel, roofing sheets, fasteners, cement for the foundation, floor, breeze-block windows and for the walls and of course the doors. The cost incurred by the partnering church is about $15,000. Quite often work teams from the partnering churches or groups come and help construct the church or come for the dedication Sunday. Following the meeting with the Groves, those attending agreed that LeValley should get on board to establish a sister church in Southern Zambia. 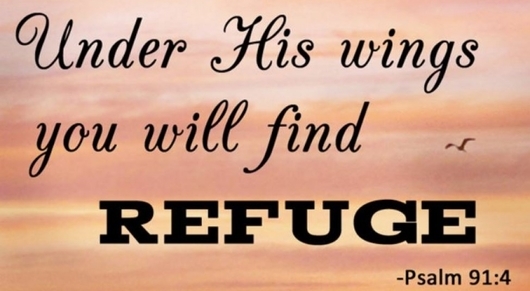 Praise God! The United Methodist Women chose to be the impetus for this fundraiser by Contributing the first $1000. Will you be the next to make a donation? We will be gauging the contributions on a life size thermometer. I pray we will heat up this project so that the stem of the thermometer will be red-hot to the top! If you have any questions about this project, please ask me or Elaine Nash. Audio Sermons - Listen to weekly Sermons! LeValley Library - Monthly Picks. Calendar - What's happening at LVUMC? Missions - Read how we contribute. LeValley Christian Child Care - View the "About Us" Page!